Haryanvi sensation and dancing queen Sapna Choudhary is on a roll nowadays with her back to back hit songs. 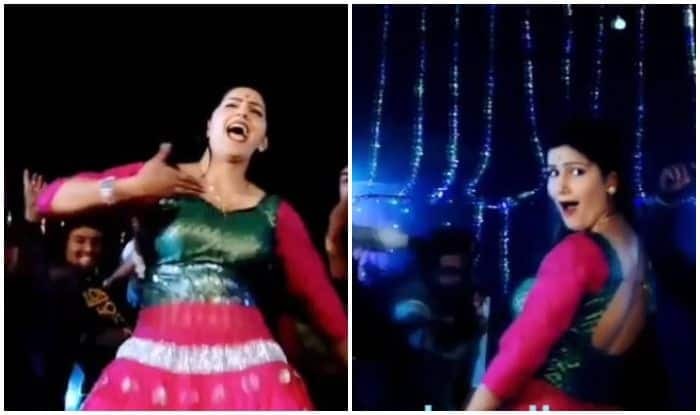 The lady is known for her stage performances and once again her video taking the stage on fire with her desi thumkas has surfaced on the social media. Dressed in a parrot green salwar-kurti, she is seen flaunting her killer dancing skills with background dancers. 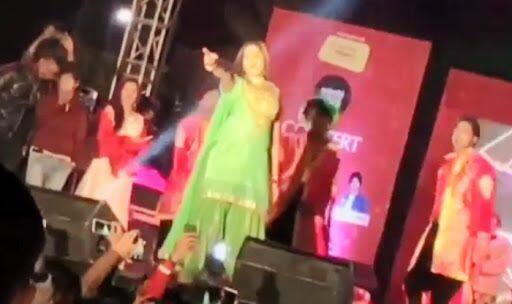 In the video, she dances to a popular Haryanvi song with the crowd cheering for her. The video has been shared by one of her fan pages and is going viral on the internet. Recently, her new Haryanvi item number teaser was out. The song features Sapna Choudhary in pink and green lehenga-choli. With subtle makeup, bold lips and bindi, Sapna flaunts her desi thumkas on her upcoming item number.